Kim Kardashian didn't forget to dress gorgeously for the paps buh guess who she forgot in the hotel room all alone? BABY NORI!!! 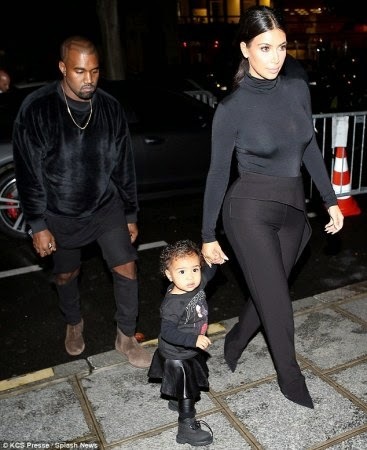 The walk to the car, her taking off her jacket so you can see her outfit , her walking back in to get North, North’s walk to the car….